The first scene of Pitch Perfect 3 begins with a loud explosion, however, the exciting effect quickly fades. Pitch Perfect 3 is the third installment of the Pitch Perfect movie series directed by Trish Sie, starring Anna Kendrick, Rebel Wilson, and Anna Camp in the lead roles. 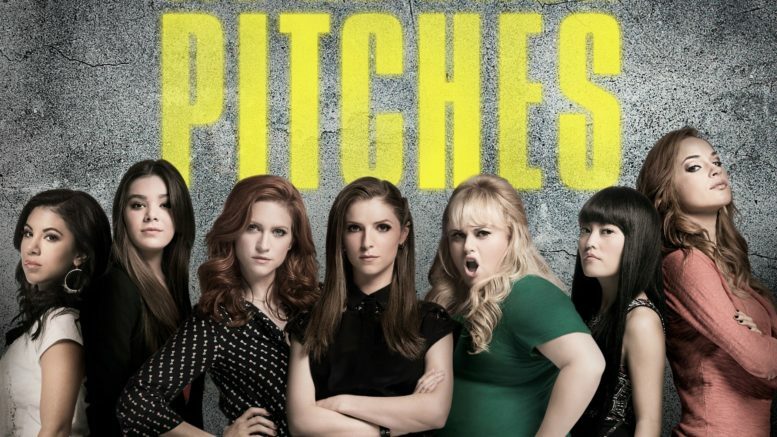 The movie trilogy began with a bang, with Pitch Perfect presenting audiences with a refreshing and light-hearted musical comedy of a all-female college a capella group. However, all the places in which the first movie excelled, the last one fell short. Pitch Perfect 3 brought together the same group of diverse girls, but without the witty charm. The movie begins with a graduated Beca (Anna Kendrick) navigating adult life. Her career as a record label producer isn’t what she once dreamed of, forcing her to quit. Fat Amy (Rebel Wilson) and Chloe (Brittany Snow) find themselves in similar positions, leaving the Barden alumnae yearning for the sense of euphoria they once felt when performing together. Once reunited, the Bellas arrive in Spain for a competition hosted by Aubrey’s (Anna Camp) father, where Fat Amy runs into her long- lost father. The Bellas then become intertwined in Fat Amy’s familial business, fighting to keep Fat Amy safe from her con-artist father. Unfortunately, Pitch Perfect 3 lacked the sizzling group chemistry and dynamic that first caught our attention. There was no room for character development since the storyline deviated from the Bellas, focusing more on the subplot with Fat Amy and her father. The storyline further deviated when we were introduced to new and irrelevant love interests for Beca and Chloe. These male characters offer nothing to the plot and appear as eye candy when the pace of the movie begins to slow down. Due to a lack of character dynamic, the humor is weak, with the four main characters spewing a half-hearted one-liner every other scene. Elizabeth Banks and John Michael Higgins as the a cappella judges make multiple appearances, but the audience quickly grows tired of the repetitive, overly sarcastic humor seen in the previous two movies. However, guest actor DJ Khaled provided comedic relief in scenes where the Bellas weren’t able to, his slapstick actions leaving the audience in laughter. The soundtrack was mediocre, with the group performing mainly a medley of pop songs, including “Shut Up and Dance” by Walk the Moon, “Wake Me Up” by Avicii, and “Cake by the Ocean” by DNCE. Many of the songs performed were simply covers and lacked the remix aspect that shone during the first movie. The highlight of the movie was an original song by Anna Kendrick as a finale performance, which showed Beca once again uniting the Bellas on stage for the last time, ending the movie in a nostalgic way. Pitch Perfect 3 is, unfortunately, a failed attempt of the same formula used for the first two movies in the trilogy. The humor was dry and the once fresh chemistry was stale, leaving the audience dissatisfied. Perhaps it’s for the best that the Bellas are retiring for good. Be the first to comment on "Pitch Perfect 3: Not So Perfect"